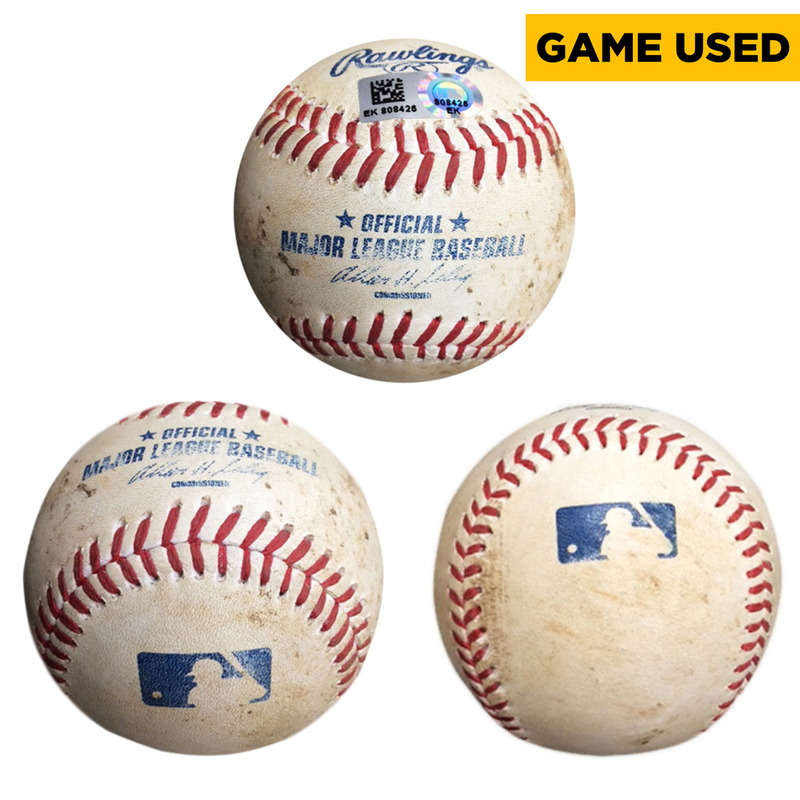 Take home this game-used baseball that was used during one of Yu Darvish's starts, which also marks the first season at Globe Life Park. The hologram on this piece of Rangers Memorabilia signifies the authenticity by Major League Baseball and can be verified by the hologram number at MLB.com. Please note that this baseball will show wear and tear due to usage.